Domestic abuse, also known asspousal abuse, occurs when one person in an intimate relationship or marriage tries to dominate and control the other person. Domestic abuse that includes physical violence is called domestic violence. The incidents of physical abuse seem minor when compared to those you have read about, seen on television or heard other women/men talk about. There isn’t a “better” or “worse” form of physical abuse; you can be severely injured as a result of being pushed, for example. There has not been any physical violence. Many women/men are emotionally and verbally assaulted. This can be as equally frightening and is often more confusing to try to understand. 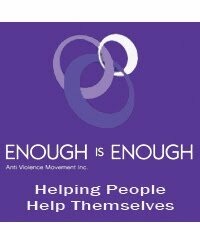 When people think of domestic abuse, they often picture battered women/men who have been physically assaulted. But not all abusive relationships involve violence. Just because you’re not battered and bruised doesn’t mean you’re not being abused. 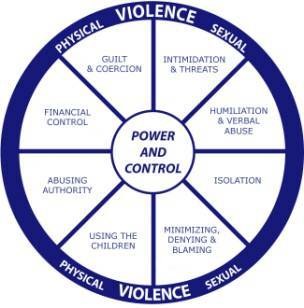 Many men and women suffer from emotional abuse, which is no less destructive. Unfortunately, emotional abuse is often minimized or overlooked—even by the person being abused. The aim of emotional abuse is to chip away at your feelings of self-worth and independence. If you’re the victim of emotional abuse, you may feel that there is no way out of the relationship or that without your abusive partner you have nothing. Guilt – After abusing you, your partner feels guilt, but not over what he's/she's done. He’s/she's more worried about the possibility of being caught and facing consequences for his abusive behavior. Excuses – Your abuser rationalizes what he or she has done. The person may come up with a string of excuses or blame you for theabusive behavior—anything to avoid taking responsibility. "Normal" behavior — The abuser does everything heor she can to regain control and keep the victim in the relationship. He or she may act as if nothing has happened, or he or she may turn on the charm. This peaceful honeymoon phase may give the victim hope that the abuser has really changed this time. Fantasy and planning – Your abuser begins to fantasize about abusing you again. He or she spends a lot of time thinking about what you’ve done wrong and how he'll make you pay. Then he or she makes a plan for turning the fantasy of abuse into reality. Set-up – Your abuser sets you up and puts his plan in motion, creating a situation where he/she can justify abusing you. Your abuser’s apologies and loving gestures in between the episodes of abuse can make it difficult to leave. He/she may make you believe that you are the only person who can help him, that things will be different this time, and that he truly loves you. However, the dangers of staying are very real. We just created a video campaign againsts NAZI POLITICS. There are still over 5 million Neo Nazis around spreading messages of hate, racism and violence. Such as the BNP and CPD. I am a victim of spousal abuse and I have been looking for blogs that describe the horror that I went through. You have described the abuse that I endured for 10 years to a tee. I can't believe that my ex has taken on his 4th wife and we all know that a leopard does not change his spots. He is probably abusing her as well. Is there anything that can be done to these men? To this day, the police will turn their backs. I Hope that more abused women read this and have help escaping. I had to do it on my own and it was horrible. Believe when I say, it is not easy. I can't believe there are cases of domestic abuse in our modern society. I would never hit my wife and I hope men in future will finally stop doing it at all. I survived an emotionally abusive relationiship nearly 20 years ago as a teenager that began to turn physical when I got out. The healing process and the lasting effects can be just as difficult as the abuse itself. This has been on my mind a lot lately because I have so many teens in my life now and I have a fear for them. I don't have a legit reason for my fears (I don't see any of the red flags in any of their relationships)but I believe my fear for them is another effect of my own abuse. Anyone have any advice for me? Hi kstuck, I understand that, I have the same fear for couples marrying young, because my marriage (I was 20) turned into a DV one. But I'm going to counselling and the advice that I got was to spend the time and effort to revisit my old feelings of fear, and just feel it. Let it be. Cry it out. It will fade when you've dealt with it. If you prefer, share this with someone you trust, who will help you to feel safe and protected. But it's a bit risky passing on the advice that was for me, because everyone is different. I recommend that you visit a counselor or psychologist and have a talk about it. Thank you I have just read your article and am currently going through the court process following my fiance almost killing me. I received many injuries including a torn hamstring, a torn adductor, a split swollen lip, cut nose, facial swelling and bruising, neck bruising, body bruising etc. He also injured our dog. I am currently seeing a domestic violence counselor. He has pleaded guilty. Court resumes late October 2012. I still love him sadly. I wish I could stop loving him that would make this whole process easier. I m tired of being silent because men have been hurting me fianacialy. Whom ever has been intimidating every empoyer I have had and I am really angry because they don't have the right to use my co-workers and employer for their persoanl gain. I know their is a man doing this to me. I feel that he is punishing me financialy because his ego is hurt and he has an issue handling rejection from women. I don't understand this man, there are many women in this world and he acts like I am the last one, when in fact I am not. I believe he has a personal problem and his behavior is so unbelieveable. I Walk on egg shells where ever I go because people say things to me and I don't even know these people. I feel that I don't have a choice of whom to marry and to date. I do feel that this man is hurting me financialy and emotionly. I just want hime to leave me alone. I don't want this man !! go away ! I LIKE SOMEONE ELSE! LEAVE ME ALONE!